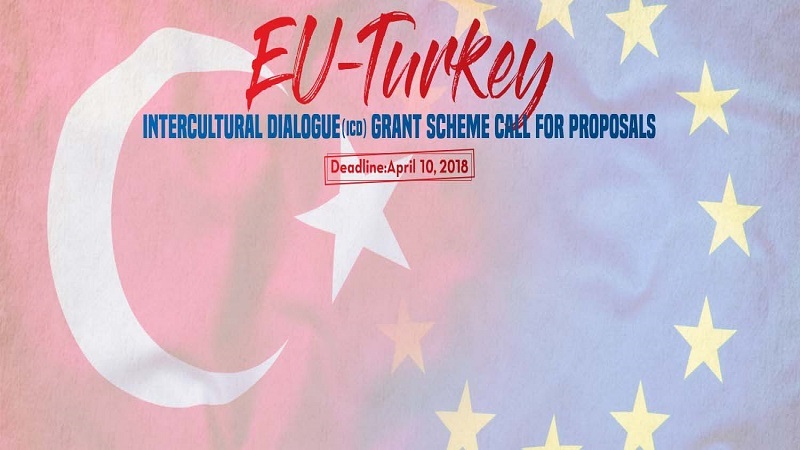 The Grant Scheme for Turkey-EU Intercultural Dialogue (ICD), targeting at enhancement of intercultural dialogue between civil societies in Turkey and Europe in the area of culture and art, along with collaboration, development and implementation of long term multinational / multilateral joint cultural initiatives and communication and promotion activities, has been announced on 20 February 2018. The Grant Scheme for Turkey-EU Intercultural Dialogue will be implemented by the Yunus Emre Institute under the Instrument for Pre-Accession Assistance 2014-2020 (IPA II), within the framework of the Civil Society Sector lead by the Ministry for EU Affairs. Increasing the visibility of EU-Turkey civil society dialogue in Turkey and in the EU Member States. National institutes of culture or national bodies of the EU countries that are a EUNIC member are eligible as Lead Applicant. In order to be eligible, the lead applicants must have at least one CSO and/or university co-applicant from Turkey. The deadline for submission of proposals is 10 April 2018 at 17:00 hrs (local time) and applications will be submitted to the Central Finance and Contracts Unit (www.cfcu.gov.tr). For detailed information please see the documents. An information meeting(s) on this call for proposals may be held by the Yunus Emre Institute. Date(s) and location(s) of the information meeting(s) will be announced later.